Within the global strategy of the Arteche Group in LATAM, the ninth edition of Workspot Brazil will be sponsored and held on 25-28 November in Foz do Iguaçu. This congress, one of the main events for the electrical sector in the country, focuses on high-voltage equipment and substations, fields in which Arteche has more than 70 years of experience. During the congress, you can consult with our experts from the Curitiba plant and our São Paulo office for the latest news on our instrument transformers with up to 800 kV, our power voltage transformers, or our Low-Power Instrument Transformers (LPIT). You can also learn about possible new fields of application thanks to the digital instrument based on optical current transformers and our Stand-Alone Merging Unit (SAMU) for projects with a process bus in the paradigm of the digital substation. You can also discover how our reclosers improve the operational capabilities and efficiency of distribution networks, reducing maintenance costs and response times to incidents. Ask our experts about Arteche’s extensive experience in the fields of protection, control and automation of electrical networks, with automation systems operating substations around the world. In addition, we will show our test blocks and trip, supervision and auxiliary relays, present in high-demand environments around the world. Get to know our Brazilian team on booth No. 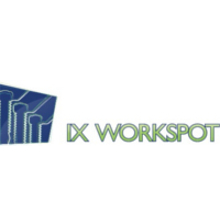 4, on 25-28 November and discover all our solutions during the 9th Workspot Brazil, an excellent opportunity to share experiences and knowledge and to move forward together.